Photo @copy; 2011-15 CJS. All Rights Reserved. We've created this page to raise money for the ASPCA, Humane society, and TLC animal shelter. We have two we adopted from the local SPCA and they are amazing companions and great fun. You can see one of our cats, Chibi, in the introduction photo. All proceeds earned by this hub will be donated to these organizations. 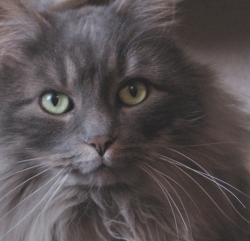 Pets are a great source of joy and can even improve one's health and alleviate stress. Psychologists and medical practitioners tell us that folks who care for pets are generally healthier on measures of emotional, mental, social, and physical health -- but they didn't need to do all those scientific studies to "discover" what Pet lovers already knew. Cat lovers are indeed a breed apart. Let Her Know She's The Cat's Pajamas! The phrase "The Cat's Pajamas" became a popular expression during the Roaring 20s. "Cat" a term used to describe flappers, was combined with the name of something else new to the era -- Pajamas, and was the 1920s equivalent of Cool, Groovy, Phat, Da Bomb, and similar slang expressions since then. In short, it means excellent. It is also not a coincidence that an English tailor named Katz, shortly before that time, was renowned for making silk pajamas for the rich and royal. What's your favorite household pet? I'll take tropical fish. Tanks. 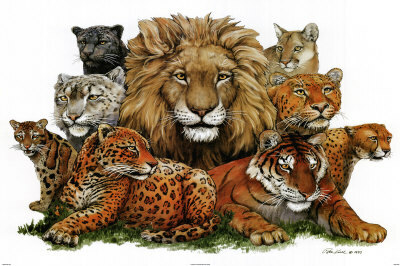 Popular cat-centric artwork for your walls. 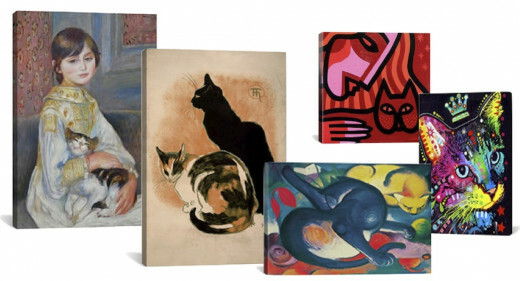 From famous artists' paintings to vintage posters and modern art prints, you're sure to find the perfect decorator accent for your home or as a gift for your favorite cat person. Available in a range of sizes and formats to fit every budget. Cats need to climb, scratch, and generally just be a cat. 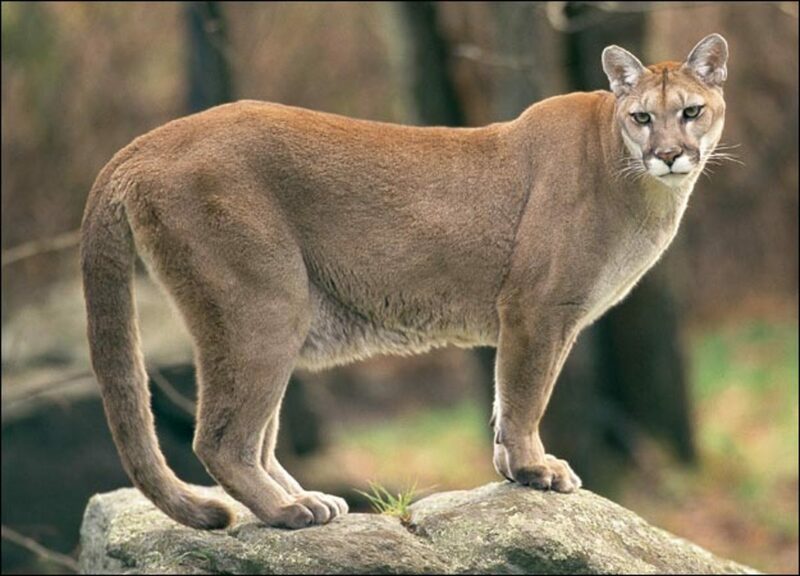 By providing them with scratching posts, furniture to climb, play on, and rest in, they will be more active. 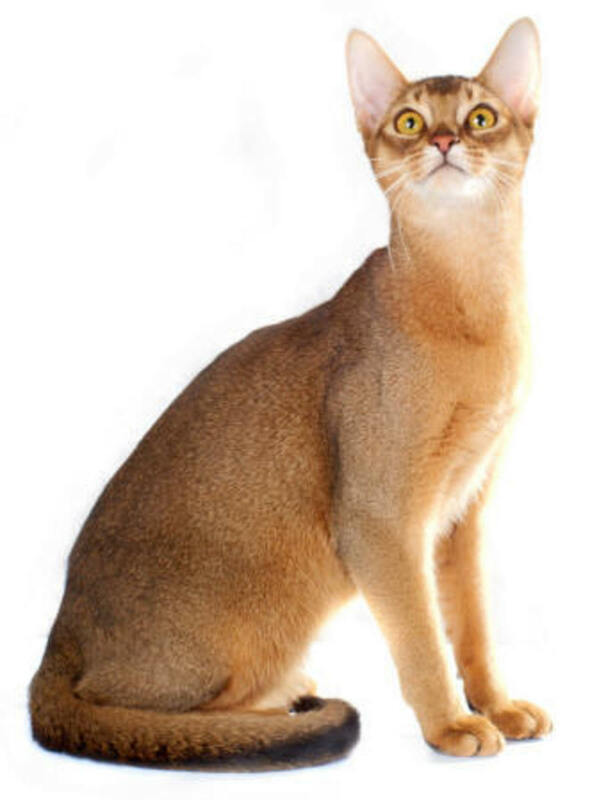 Exercise is healthy activity cats need to maintain strength and help keep them in shape. With the classic and whimsical designs shown here, you can also find cat furniture to suit your décor or your sense of humor, as well as those of your favorite cat person. Nora the Piano-Playing Cat - You've Got to See it to Believe it! Nora The Piano Cat: The Sequel - Better than the original! Want to See More of Note-able Nora? Perhaps the best gift of all you can give a cat-lover is one that is also a gift to yourself and your family: Adopt a cat or kitten from an animal shelter and learn why so many people are so crazy about felines. The following video offers some great advice for the individual or family looking to adopt. After the video, you'll find some books we've found were valuable resources for caring for your new pet. We have personally chosen these books because we think they are the best out of the hundreds available. We've read them all and have two of them on our bookshelves at home for easy reference. We adopted our cats as young kittens nine years ago (brother and sister from the same litter). It was (and is) as reassuring to have information we know we can trust available whenever needed and to help us determine if we should be concerned about a new behavior or not when we should call the veterinarian or similar cat-care professional. Please help us spread the word and raise money for a good cause. Bookmark this page and share it with your friends. All proceeds from this page are donated to the ASPCA, Humane Society, and TLC Animal Shelter. Thanks for your lovely note. We have 2 cats but they are content to prowl around indoors and don't like going outside at all. Our dog, however, enjoys the porch and garden a lot. Love this for the gifting to cat lovers and their love of cats. Mouse would be proud. Would bet a few pad about in the old 1880 Victorian house and garden you've renovated read in your bio. So many "hidey" places there would be. Fun read. nice lens and toys, I love my girls, and buy a lot of toys for them but a peace of crumpled aluminum foil they also love to play with or a carton box is also a fantastic way to play, well that counts for my girls but not every cat will love that. 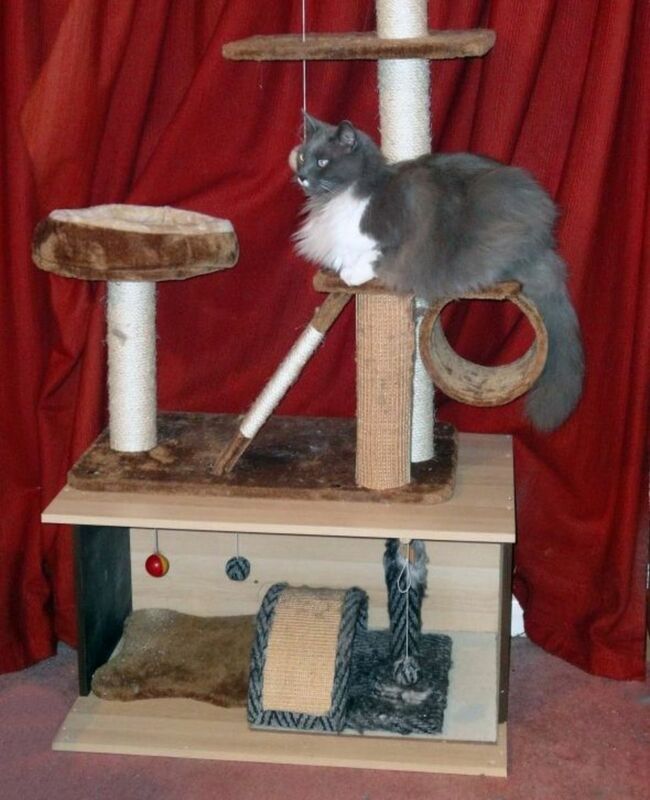 My mother got me a cat tree for my cat for christmas. I love my cat and I am constantly buying her things. She even got me a poster of my cat. I even got some small plastic cat toys in my stocking. The year before last year I got a picture frame that says I love my cat. Cats are great. Awwww - love Nora, and she's so talented! 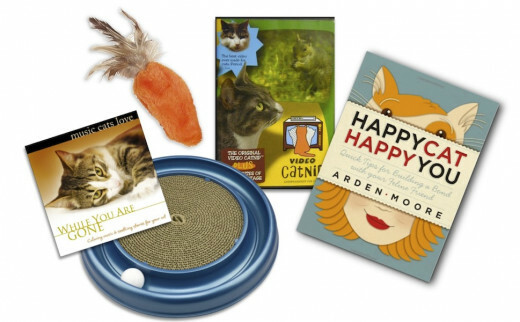 Fantastic selection of cat lover gifts (this was written by a huge cat lover, which means that it is definitely true:)). Good job, liked! 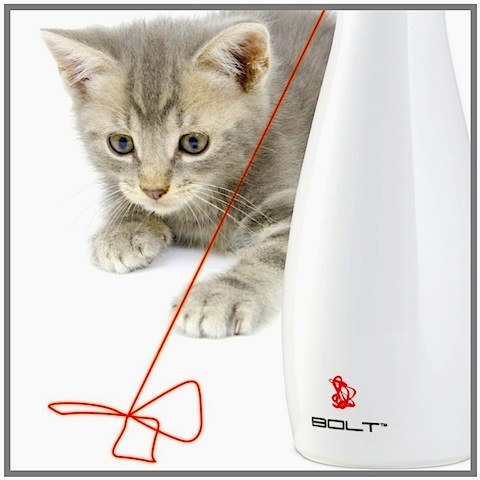 Lot's of great gift ideas for cat lovers. Love your intro picture. Thanks for sharing. Blessed. Lovely lens, I just love looking for ideas and shopping for my cats! All great choices. Can't let my wife near this page. Very nice product lens - made even more special by your discussion of kitties charm and your gentle encouragement to adopt a cat from the shelter. Angel Blessed. Power to your paws, love your other stuff but can't resist the cat ones, no, no need to make a phone call, I'm quite normal most of the time. Aww, these gift ideas are sooooo adorable! I'm NOT a cat lover, and I was at a loss for what to get my aunt's...they are all cat lovers.....thanks for the great ideas! Great lens! So many cat related gifts and as the owner of 4 cats I loved it, I might even tackle the cat scratching post it looks like a good project. Nora was brilliant I was laughing so hard, very nice lens. Thanks. As a cat lover, I can't believe I never came across this lens before! Great work! MeWow! I love your message. A super lens - will be adding it to my featured lenses... after the cats have finished reading it! I love, love, love cat so much, and would love to have a kitty to buy thing for again. Blessed! Hi, Just dropping back by ... Your cats, Chibi and Mouse, are precious! You have some real nice gift selections, and for such a worthy cause. The Thermo-Kitty Cuddle Up bed looks real cozy! Wow, I had no idea about Nora the piano playing cat. Great variety here of gifts I'd never have imagined. Thanks for sharing, I love cats and dogs (all animals, really). This is such a cute lens! I love the video of the cat playing the piano. :) Nice job on the lens. 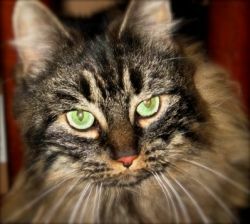 Great cat info, sweet lens ... love cats! I loved seeing the Nora Piano playing cat. Thanks to for reminding people about June being adopt a cat month. I found you from twitter. Nice gifts especially the posters. 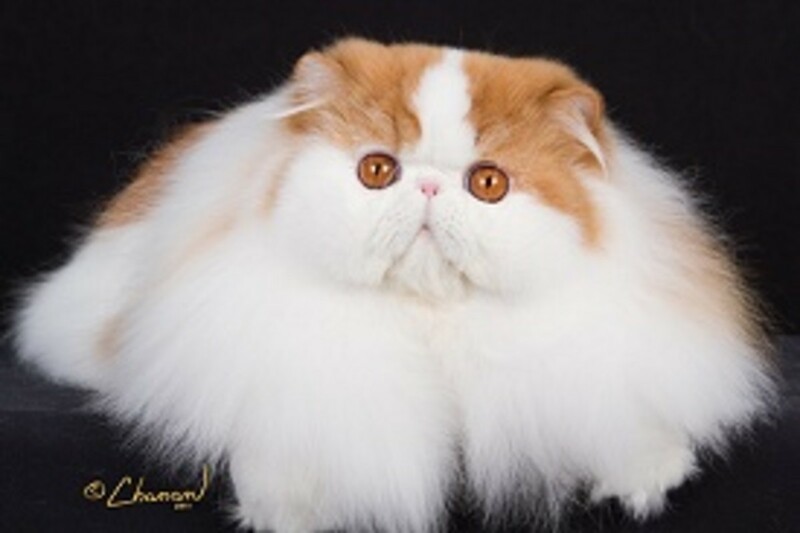 The persian cat is my favourite, it looks so royal in the fur. Very nice kitty lens with lots of info for making them happy. Thank you! Wow... Nora's a better piano player than I am! I've got some practicing to do. :-) Really enjoyed this lens. @cinstress: I would recommend the "cat scratch thing." We've got two of them now (ordered the first from above listing but lucked out and found the second at a local garage sale) and our cats really enjoy them. And Thanks for the lensroll. Appreciate it! @ColorPetGifts: Thank you so much! Nora is an unbelievable pianist! Thank you for visiting and giving us a "cupid kiss" and angel blessing. Hope you can hear us purr! Incredible cat playing the piano! @ajgodinho: Thank you. Quite a compliment coming from someone with so many lenses I admire. Greatly appreciate it. I have so many friends who are cat lovers and I am always looking for gifts for them. This lens is not only clever and fun, but it provides great gift ideas. Thanks.